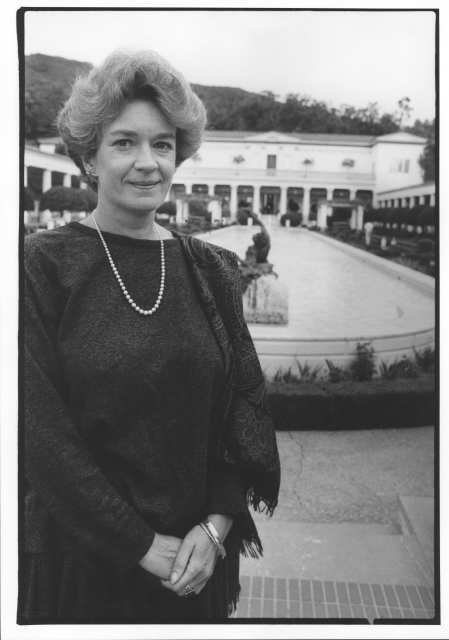 Former Getty antiquities curator Marion True was asked to resign in 2005 after the authors revealed in the Los Angeles Times that she had accepted a $400,000 loan from an attorney working on behalf of one of the Getty’s principle antiquity dealers. A month later, we reported that True had repaid the loan by borrowing money from her friends Lawrence and Barbara Fleischman — a deal arranged the day after the Getty acquired the couple’s antiquities collection valued at $60 million. It was these two questionable loans — and not True’s criminal indictment by Italy on charges of trafficking in looted art — that destroyed her career and reputation. True’s failure to disclose the obvious conflicts of interest shocked and silenced many of her most ardent supporters. As we note in the book, we were unable to find any evidence that True was repaying the unsecured loan from her wealthy friends — her attorney Harry Stang refused to provide us any evidence of payments, despite numerous requests. But a curious tidbit of new information about this second loan appeared in Hugh Eakin’s recent review, whose faults we have detailed elsewhere. According to Eakin, Stang told the Getty in 2006 that True had re-paid $162,000 of the loan over a six year period, calling her payments “generally consistent” with the loan’s terms. We were curious how “generally consistent” these payments were, so we did the math. * True apparently failed to make her monthly payments about 18 times over the six year period reviewed, paying $54,000 less than she owed. We’ve asked for a response from True’s attorney Harry Stang, who told us earlier this week that her payments showed “substantial compliance” with the loan. He also said he did not know if any payments had been made since early 2006, when he reviewed the payment records. We’ll post any response he provides. What does it all mean? Perhaps not much. The loan, coming on the heels of the Getty’s purchase of the Fleischman collection, was problematic even if fully repaid. And True clearly made an effort to repay the loan for much of the time before her forced retirement in October 2005, toward the end of the period reviewed by her attorney. This entry was posted in News and tagged Getty Museum, Hugh Eakin, illicit antiquities, Marion True, New York Review of Books, scandal. Bookmark the permalink.